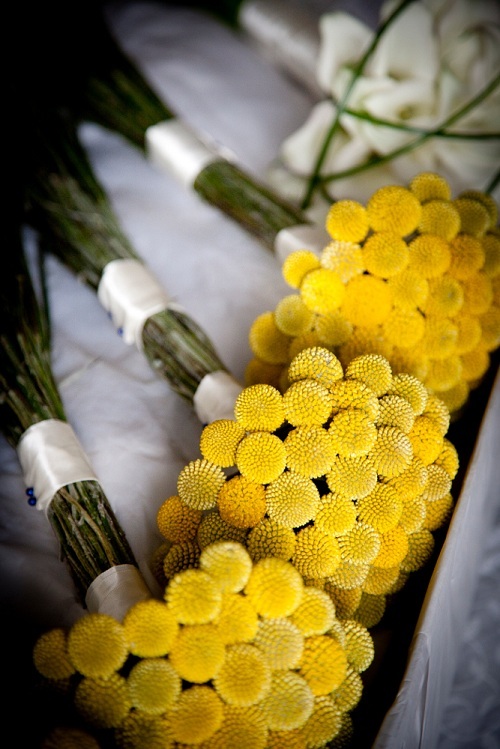 Thinking of how much to set aside for flowers on your wedding day? The standard allotment for wedding flowers is typically 10-15 percent of the total wedding budget. This includes the bridal bouquet, the bridesmaids' bouquets, grandmother tussie-mussies and groomsmen's boutonnieres, as well as flowers for the ceremony and reception venues. Flowers can provide a central theme in your wedding so it's important to make a choice that fits your personality and also the season. Choose flowers that are in season; these blooms provide a sense of time and place and will forever remind you of your special wedding day. If you have your heart set on an out-of-season flower for the bouquets and arrangements, you can still integrate in-season blooms for the ceremony and reception providing a small kiss of the season. Although available year round, ranunculus is a spring flower. Its cascading paper-thin petals often come in pale yellow and white, but it can also be found in a variety of pastel shades, as well fiery orange and brilliant gold. As beautiful as it is versatile, this bloom is fast finding its way in many bridal bouquets as well as in wedding reception centerpieces. Spring is also a perfect time to add blooming branches like cherry or dogwood in pinks and whites to your floral arrangements. Summer flowers are abundant and dazzling. 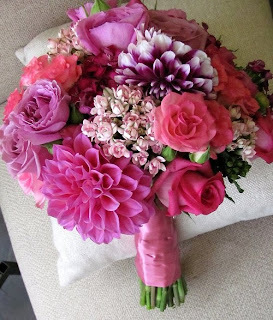 This is definitely a season with no shortage of beautiful blooms for any bride's taste. You can drape your venue with blue and lavender freesias, sprigs of delphinium, sturdy gerbera blooms in bold pink, yellow and red, plus countless more. 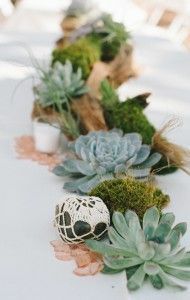 Coming in a slew of colors and abundant during the colder autumn months, dahlias and succulents give a burst of color to any ceremony or reception and can provide a bold contrast to traditional wedding flowers. 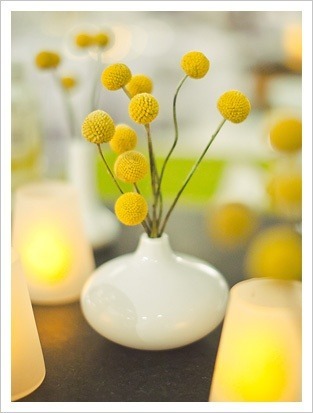 Also, for fall wedding flowers, it can be fun to integrate texture pieces like berries and Craspedia, also known as Billy Balls. There are few flowers that are locally available in winter but rich seasonal flowers like Amaryllis make a gorgeous statement. 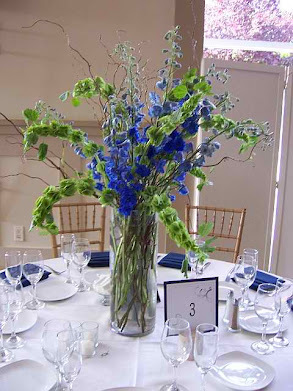 White birch or holly berry branches can be incorporated into table arrangements at your event venue to wow your guests. Without stealing the limelight from the bride and the groom, wedding flowers add style and elegance to any wedding day. By using flowers that are in season, you can pay homage to the season while making a distinct impression on your guests.